Located in the Lower Coastal Plain of southeast Georgia, Tattnall County is the state's 25th county and covers 484 square miles. It was created in 1801 from Montgomery County and named for Governor Josiah Tattnall, a Savannah native who had once served as brigadier general in the state militia. In later years other counties were formed from parts of Tattnall County: Toombs County (1905), Candler County (July 1914), and Evans County (August 1914). The land in Tattnall County was originally held by Creek Indians. A large percentage of the earliest white settlers came from North Carolina and Virginia; many were recent veterans of the Revolutionary War (1775-83). Land was parceled out via the headright system, giving each family up to 1,000 acres of farmland. The region was covered with timber and wiregrass, unattractive to many farmers but suitable for raising cattle. The county seat is the City of Reidsville. There were no towns in Tattnall County when it was first created, so the state legislature ordered that county business be conducted at the home of Zacharia Cox, who lived at a spot on the Ohoopee River known as Drake's Ferry, on the county's western boundary. In 1807 or 1808 a log cabin was built near Drake's Ferry in which to conduct the county's business. About 20 years later, the county purchased land near the center of the county and built a new courthouse there. In 1832, when the county's first post office was established at the location, the name Reidsville was chosen. The original courthouse in Reidsville was replaced circa 1854. This building, in turn, was replaced in 1902 by the current courthouse, which has been remodeled twice and was renovated in 1991. The City of Glennville, incorporated on Jan. 1, 1895, was settled in the early days of the 19th century as Philadelphia Cross Roads with a church, a school and a Masonic lodge. TThe first building was erected in the summer of 1857; a a small log building, 20 x 30 feet, used for both school and church purposes. A frame building was erected for church use in 1881 and a new two-story school building was built about the same time on what is now Caswell Street. The first floor was used for school and the upper floor for the Masonic Lodge. The first store was built in 1887 on what is now North Main Street. A young school teacher named Glenn Thompson suggested to the people the importance of having a post office. He accepted leadership in this matter and took it up with the Post Office Department. His request was granted and the first Post Office opened on July 15, 1889. Because the Philadephia post office already existed, a name had to be selected, so to show their appreciation for his efforts, the people decided to call the city Glennville and Glenn Thompson was named postmaster. Other incorporated towns in Tattnall County are Cobbtown, Collins and Manassas. Cobbtown (formerly called Quince) was the only named community in the northern part of the county before the arrival of railroads in 1890. Collins, incorporated in 1905, was at first a train depot for the Savannah and Montgomery Railroad. Founded in 1890, it soon grew into a small rail center as businesses developed around it. Manassas is Tattnall's smallest town. Founded in the late 19th century, it was named for Washington Manassas Foy, a local large landowner and turpentine manufacturer. Glennville is Tattnall County's largest city. By 1849 there were a number of flour, grist, and sawmills in the county. Other feed crops, cotton, and livestock also made up substantial parts of the agricultural economy. Slave labor was important to the success of many farms. Despite this, the people of Tattnall County were squarely against leaving the Union when debates over secession were held. However, they loyally sent four regiments to fight for the Confederacy once the Civil War (1861-65) began. The county did not escape damage at the hands of Union general William T. Sherman's soldiers on their march to the sea, and the courthouse was commandeered by Union troops for use in administering the loyalty oath to local men at the war's end. 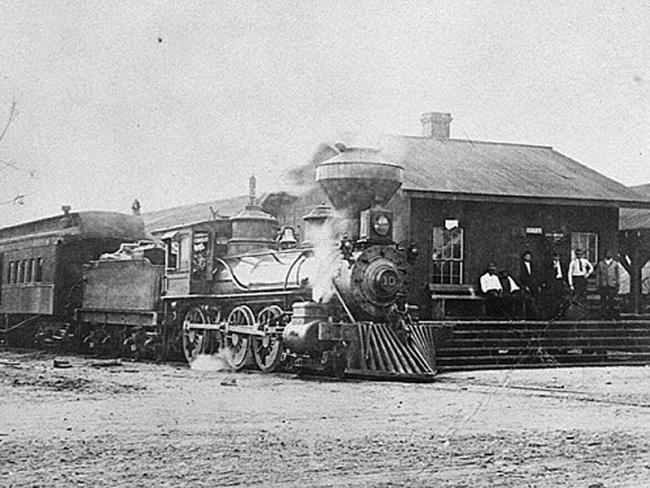 Tattnall County underwent a long period of recovery after the war, finally receiving a much-needed economic boost when the Savannah and Montgomery Railroad built lines through the area in the 1890s. Between 1890 and 1900 Tattnall's population nearly doubled.